Amongst numerous things that we all are more than thankful for, Ice Cream definitely makes it’s way up that list. Be it in a cup, a waffle cone, in a fudge brownie sundae or just plain vanilla topped with various toppings, Ice cream donning different disguises has always had our endorphins rushing. The latest trend to take the dessert world by storm is Ice Cream Rolls, so where do we score it? The best part about ordering an Ice cream roll is that you get to see how it is made and it’s a visual delight – the liquid ice cream is poured along with toothsome flavours (After Eight, Twix, Blackcurrant, Paan) onto an ice grill. A little chop here, a little chop there and Voila! you get three scoops of happiness topped off with a waffle crispy and sprinkles. And if the roll isn’t your cup of ice cream (pun intended) then fret not. 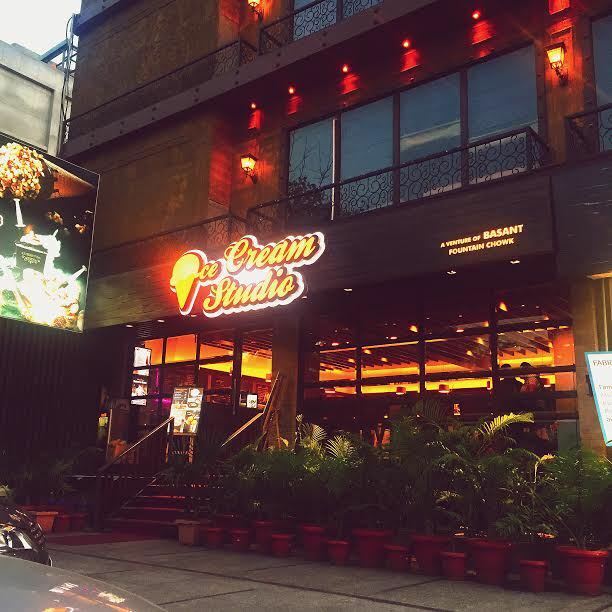 Ice Cream Studio Ludhiana offers Nitrogen Ice Cream, Thick Shakes, sugar-free ice cream and regular sundaes, but more on that later. Out and out a vibrant parlour with limited seating, the place is must visit for your dessert cravings. The place is open until the wee hours like till 1:15 am, so all your midnight dessert cravings, now sorted. The studio is the busiest during the night so be prepared to wait just a tad bit. For regular updates, you can follow them here.